“Green Tea.” Lipton. 1 teabag steeped for 3 minutes at 180℉. Impression: tea: see photo. Brewed tea scent is savory. Taste: Mild, vegetal and herbal with one mild unpleasant note I find hard to characterize. Not astringent. I don’t drink much supermarket tea, but I wanted an easy bag tea for a trip, and bought this one. It is only labeled ‘Green Tea’, without even the country of origin. I’m guessing it’s from China, probably Chun Mee-style. Not bad for a cheap bagged tea in a pinch. “China Oolong, Huang Jin Gui.” Upton No. ZO22. 2.2 grams steeped for 5 minutes at 200℉. Impression: tighly compressed leaves, see photo. Dry tea has little scent. Brewed tea scent is floral, resembling Tie Guan Yin. Taste: Floral, resembling orchids, mild, milder than the Tie Guan Yins with which I have had experience. Not astringent. This teas, like many oolongs, is from Anxi, in Fujian. This tea wasn’t bad, but I see no advantage in it over a good Tie Guan Yin. Here’s an interview with me about the story behind the story: how “The First Day of Someone Else’s Life” came to be written, and some of the themes and ideas behind it. “The First Day of Someone Else’s Life” is in the current, May-June issue of The Magazine of Fantasy & Science Fiction. See this post for how to buy it. Reminds you of that famous passage in Borges, doesn’t it? Was Ibn Khalawayh, like Borges, writing fiction? Did medieval Arabic really have 400 names for lions? When I find something interesting in a magazine, I tear it out, put it in a folder, and file it away for future reference, stuck in one of many bookcases. I then forget where I put it, and even forget that I ever saw it. I find it, years or decades later. Sometimes it is still interesting, and I put it back where it was and forget it again. Sometimes it no longer has relevance, and I throw it out. This is not age-related. I have been doing it my entire life. It is not senility. It is a cultural trait. Somewhere on earth, I feel, there must be others who behave this way. I hope I can find them someday, and enjoy being one with my own people at last. Lung Ching, ‘Dragonwell’. Upton No. ZG71. 2.2 grams steeped at 160 ℉ for 2 min. Lung Ching (there are different romanizations of the Chinese) is a famous tea, found consistently on lists of “Ten Famous Chinese Teas” (of which there are many). 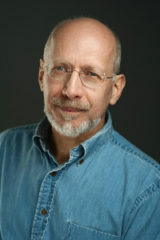 Dr. K.S. Tom, in Echoes from Old China, says that Lung Ching is the finest of all Chinese Teas. Others will differ, but it is certainly a fine and famous tea, and if you have any interest in tea, you owe it to yourself to try it. The name ‘Dragonwell’ is said to come from a well near where the tea was originally grown, in which water swirls around in a manner that suggests the coils of a dragon. “Tea Bank Estate, Ceylon FBOPF EX SP” Upton No. TC23. 2.2 grams steeped for 5 minutes at 212℉. Impression: dark BOP-size bits, see photo. Dry tea has scents of wood, spice and fruit. Brewed tea scent is flowery, lily-like. Taste: typical black tea flavor, slight woodiness, but without other marked notes. Not harsh. Minimal finish. Moderately astringent. This Ceylon tea is unusual in its usualness. Most black teas have the typical black tea taste, plus other flavor notes. Except for a slight woodiness, this tea has no special flavor notes. An interesting tea, if that’s what you’re looking for. Upton No. TA14. 2.0 grams steeped for 4 minutes at 212℉. Impression: dark brown BOP size fragments, see photo. Dry tea smells slightly spicy, typical dry black tea scent. Brewed tea scent is sweet, woodsy, faint traces of tobacco. Taste: Bitter, somewhat harsh, brackish, tobacco tastes. Not much of the malty tastes Assams are famed for. Moderately astringent. Drinkable, but not my favorite, and not very Assam-like. 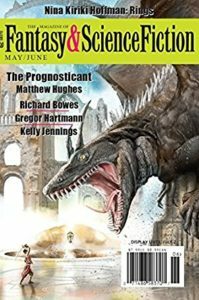 My short story, “The First Day of Someone Else’s Life,” is in the current, May-June 2017, issue of The Magazine of Fantasy & Science Fiction, available now. — Kinuko Craft, in an interview in the April 2017 issue of Locus.